As the flagship of Serie Walter float range these Carbon Match floats have been made from the best materials of the 21st. century. 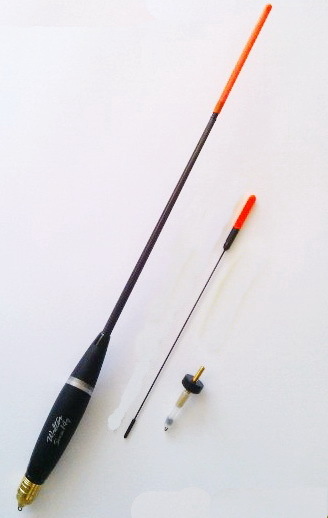 The body is multiply covered balsa, the stem is conical carbon tube, the antennas are combination of carbon and fiberglass tube. Owing to its variable antennas, changeable brass weights and specialslider adapter these floats can be used in a very effective way in all conditions from the shallow lakes to the deep slow moving canals or rivers.